My maternal grandmother lived until almost 103 years and played a major role in my life. She lost her husband early in a farming accident during the height of the Great Depression, and before this lost 3 of 7 children to a diphtheria outbreak in the late 1920’s. My mother and 3 sisters survived this outbreak, as well as both grandparents. A different time to be sure. I would often go visit her in her last years in a nursing home facility in Southeast Kansas. I would leave the facility thinking of the loneliness and in some cases the hopelessness I would experience in the residents, and the hard work and dedication of the staff. In 1992, with the support of Emmanuel Baptist Church, we started a nursing home ministry that branches out today to more than a dozen facilities around the metro area. Two of these, Leisure Care/Manor Care, and St.Joseph Villa have been directly in my care since 1992. Sometimes family members will call in need of a chaplain type, so this becomes an area of service as well. There have been residents under this church ministry for upwards of 12 years. It is bittersweet at times as you get to know both staff, family, and residents over time, then they are gone. I am grateful that first The St.Paul Companies of the 1990’s and now MAX has allowed this to continue under our service time that is generously provided. Brad has worked at MAX for the past 14 years and has over 30 years of experience in the insurance industry doing underwriting, field management work, and sales. Outside of the office, Brad is an ordained Southern Baptist Deacon and a Sunday School teacher of 30 years. 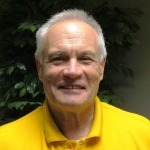 In addition, Brad is a long-time Vacation Bible School teacher and has an ongoing 19 year Nursing Home Ministry. Since he was a young teenager, Brad has been an avid goose hunter, traveling across North America while pursuing this noble bird and enjoying the outdoor world.